So, Jason Derulo (yes, I'm singing his name in my head, too) and Jordin Sparks have been together for almost three years now. While Derulo only technically confirmed that he and Sparks were dating in January of 2012, the couple were quite obviously together before that as he cited Sparks as helping him get through his awful neck injury that he was thankfully able to overcome. So, three years in Hollywood terms? A downright eternity. And, to top off their longevity, the two have gone through their relationship practically unscathed by tabloid gossip and accusations. Well, if you don't count those pesky little engagement rumors. 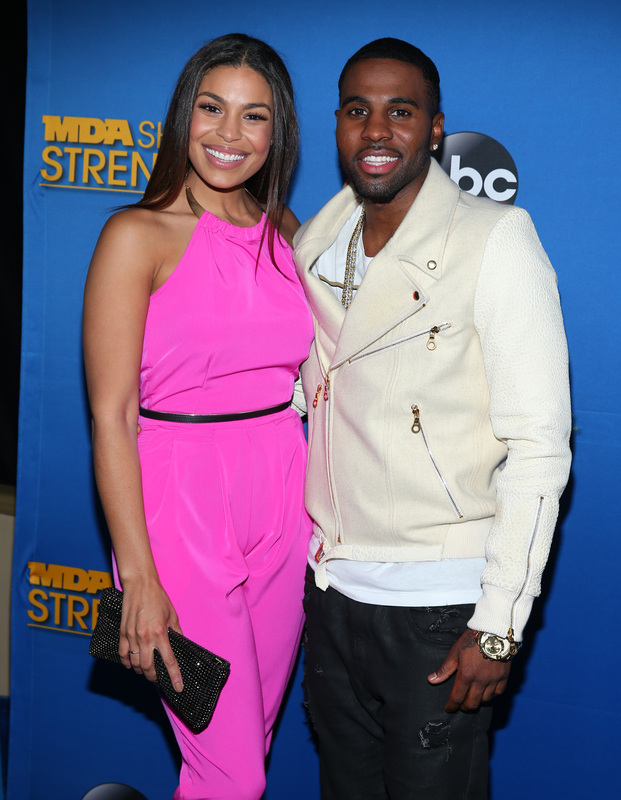 But, are they just rumors or are Jason Derulo and Jordin Sparks actually engaged? In the celebrity world, being asked if you're going to marry your longtime significant other is hardly the worst thing in the world. There's so many other speculations that usually make the rounds first — feuding, pregnancies, drug use, bad tipping — but that doesn't mean that the marriage inquiry is any less daunting, especially when your response is recorded for the entire world to see. In fact, it might be the most nerve-wracking question to be asked when you do actually intend on marrying the person in question... just not at this very moment. Which, for poor unsuspecting Derulo, is just the case. There is a lot of pressure, and there was a lot of pressure before the song. I wrote the song because of the pressure and then I made the pressure worse because people just listen to the chorus and all they hear is ‘Will you marry me?’ so they’re like ‘Oh you’re proposing’ I’m like ‘No.’ In the song I’m saying when the time is right, I’m saying we have the rest of our lives. So the perfect time is on its way. So, Derulo and Sparks aren't engaged for the moment and I totally get Derulo's reasoning. It's a nice change of pace for a celebrity to not want to rush into a marriage just to get divorced 72 days later, but then again, who's counting? Derulo and Sparks seem like they have this whole relationship thing down pat and when the time is right, one of them will pop the question. After all, if someone wrote that song for me I don't think I'd be too worried about where the relationship was going.